More than a week ago, I asked people on my Voice-Over Friends FaceBook group to participate in a survey. This is decidedly not scientific, or as they say in statistics: the study has no power or significance. But as a case study, it reveals a trend in this decidedly biased VO population on the FB group. 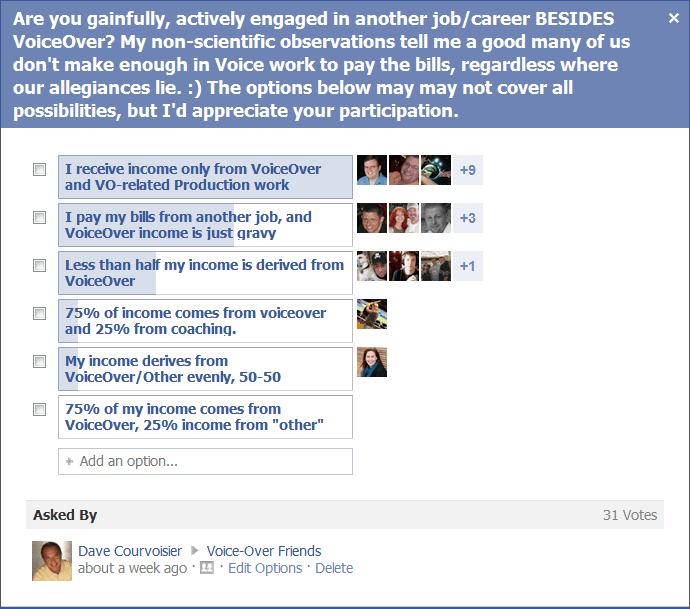 31 people participated in revealing how much of their income comes from Voice-over work or some “other” source. Most of us probably wish we were in the most populous group, but the fact is that many working voice actors supplement their family income and pay their expenses with income from another line of work…sometimes (as in my case) a career chosen much earlier. Robert Sciglimpaglia is one of those. A practicing attorney, it’s clear Robert’s passion lies in acting. He scored big earlier this year, appearing in a Super Bowl ad. 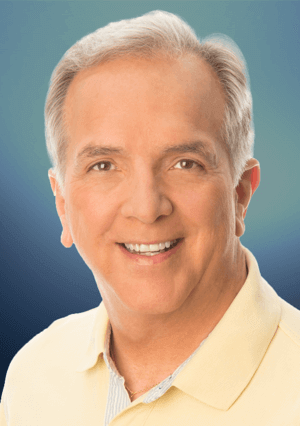 He has earned respect in the voice-over community by freely offering his expertise where and when it’s needed. He gets to the point in a way anyone can understand. 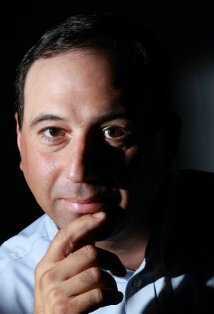 Now he’s published a legal guide for voice actors through John Florian’s VoiceOverXtra.com site. ‘Voice Over Legal’ is not boring or overly lengthy, but lays out the facts on any number of topics that help the VO establish their business soundly. 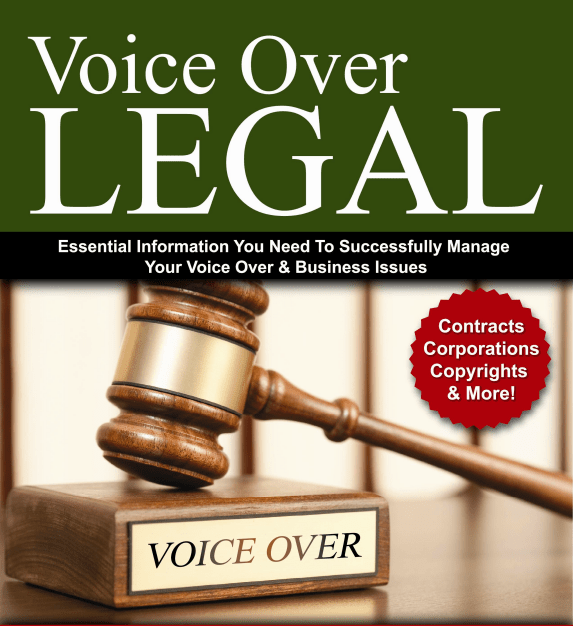 Read about the book, hear what other VO experts say about it, see the video, and click to buy the book here: http://www.voiceoverlegal.com/. You can also read the PRESS RELEASE – VOICE OVER LEGAL ON SALE 4-17-12, which fleshes out more information on the book. Congratulations, Rob! You make us all better!